WASHINGTON, June 27. /TASS/. 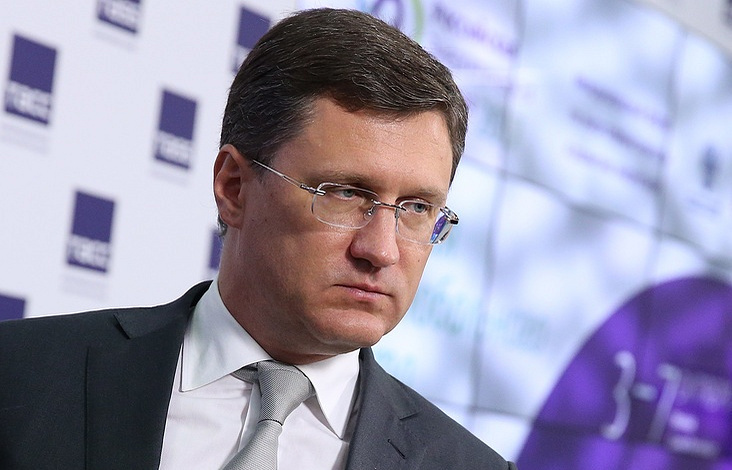 Russia urges the United States not to mix the Nord Stream-2 pipeline project and politics, Russian Energy Minister Alexander Novak told reporters in Washington. Novak visited Washington on June 26 to take part in the World Gas Conference. During the visit, the Russian minister met with US Treasury Secretary Steven Mnuchin and Energy Secretary Rick Perry to discuss Nord Stream-2, among other issues. "I expressed the opinion that it [Nord Stream-2] is a project, which would be economically feasible for Europe, which will benefit European consumers and which European companies implement jointly with Gazprom," he said. "And, of course, in order to ensure Europe’s energy security and satisfy the European demand for environmentally friendly sources of energy in a long-term perspective, the implementation of infrastructural projects of this kind should be based on economy, without political judgments." "We have exchanged opinions, as they say. We will keep discussing this issue, because Secretary Perry and I agreed to maintain contact," Novak added. After the US had become a net exporter of natural gas for the first time in 60 years due to the development of LNG sector, Washington started to threaten Russia with sanctions against its Nord Stream-2 Europe-bound gas pipeline project. European and Russian officials said on many occasions that the US policy of sanctions is intended to squeeze Russia out of the European energy market and promote its LNG supplies. The Countering America's Adversaries Through Sanctions Act (CAATSA) authorized unilateral US sanctions against companies taking part in the Nord Stream-2 project. Earlier, Russian President Vladimir Putin said that Russia would welcome European participation in the Nord Stream-2 project. He named France’s Total among potential partners. The Nord Stream 2 pipeline is expected to come into service at the end of 2019. The pipeline is set to run from the Russian coast along the Baltic Sea bed to the German shore. Each of the pipeline’s two stretches will have a capacity of 27.5 bln cubic meters. The new pipeline, which is expected to connect the Russian resource base with European customers, will double the capacity of the first line and will basically follow its route. The cost of construction of the Nord Stream-2 is estimated at 9.5 bln euros. It will bypass transit states - Ukraine, Belarus, Poland and others - and will run through exclusive economic zones and territorial waters of five states - Russia, Finland, Sweden, Denmark and Germany.